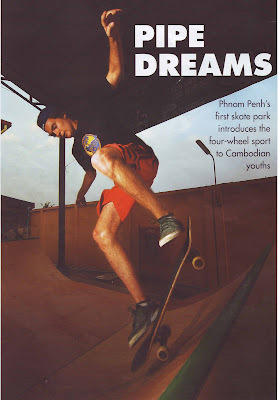 Since moving to Cambodia from Australia, my friend Luc had become really involved with Pour un Sourire d'Enfant (For a Child's Smile), a youth skate project there teaching kids how to skate and there were plans afoot to build Cambodia's first ever skatepark. 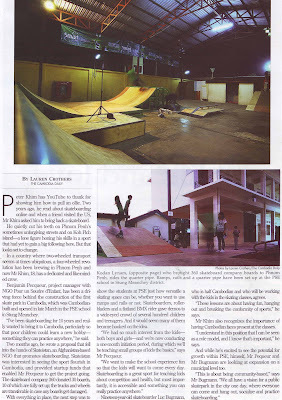 Meanwhile Munners from ThreeSixty Project had been in touch with Skateistan, a project bringing skateboarding to youth in Afganistan, offering them ThreeSixty decks. They then put him in touch with the project in Cambodia which coincidentally is the same project Luc is working with! 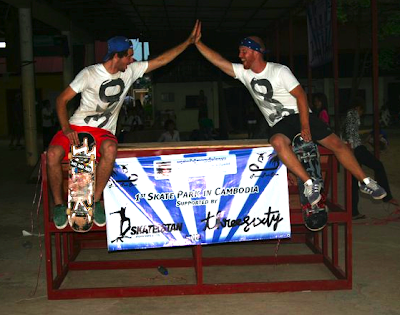 So earlier this month Kodan and Dubsy headed out to join Luc in Cambodia. Dubsy had thirty decks from ThreeSixty and Boris and Rob hooked them up with ten sets of trucks, wheels, bearings and heaps of protective pad sets to take too. The first week of their trip they spent skitching tuktuks, telling locals it was all called "stunt wooding" and building ramps with the locals getting ready for the big opening. 2500 kids turned up to the park launch and watched a skate demo and music and dance acts. 2500! The massive interest in the project led to local and national companies lending their financial support to the programme. 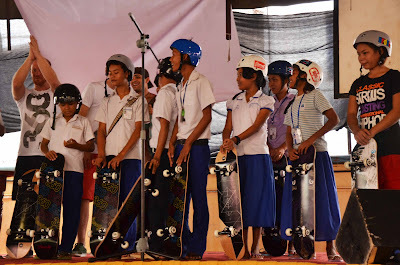 Before they left the boys built more ramps and heard that Skateistan have said they want to get more involved, providing financial support and even a salary for Luc! Amazing. Please do pray for the project there and for Luc as he doesn't have any Christian brothers on the project there to work with and I know that can be a really hard place to be. A Boardstore deck being put to good use! Thanks to ThreeSixtyProject and PSE for photos.